Sometimes, your computer audio in Windows will suddenly stop working No Sound in Windows 10? Here's How to Quickly Fix Digital Deafness No Sound in Windows 10? Here's How to Quickly Fix Digital Deafness Got Windows 10 and having some sound problems? You're not alone. Thankfully there are some simple, effective troubleshooting steps you can follow. Read More . Restarting your PC can fix these issues, but that’s not convenient and won’t always work. It’s worth applying some basic troubleshooting before taking the time to dig in deeper. Next time you can’t hear anything in Windows, try these quick troubleshooting steps. First, you should try running the audio troubleshooter tool 13 Troubleshooting Tools to Fix Windows 10 13 Troubleshooting Tools to Fix Windows 10 For every Windows issue, there's a tool you can use to fix it. 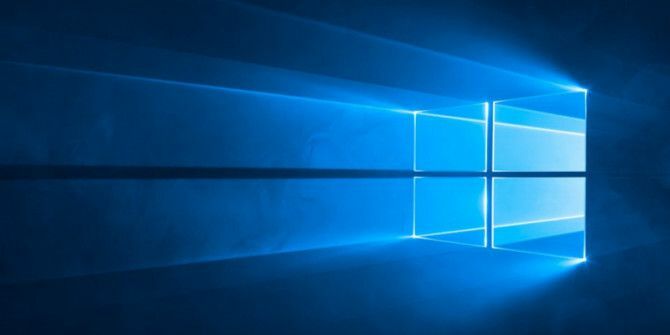 Find your problem in this list and pick one of the 13 troubleshooting and repair tools for Windows 10. Read More . To use this, head to Settings > Troubleshoot > Playing Audio. Windows will check for problems with audio on your PC and attempt to automatically fix them. Open the Device Manager. An easy way to do this is right-clicking on the Start Button or pressing Windows + X to open the Power User Menu and choosing it from the list. Expand the Sound, video and game controllers header to see your audio devices. You’ll see more than one entry here if you have multiple sound devices (for instance, speakers and a headset). Right-click on the device that’s malfunctioning (if it’s your built-in speakers, this will likely be Realtek High Definition Audio or something similar). Choose Disable device and confirm the operation. Your PC will tell you that it requires a reboot. Restart, then return to this menu. Right-click your device again and choose Enable device, then see if your audio is working. If this doesn’t work, your audio problem is more in-depth. You may need to uninstall your audio driver and reinstall a fresh copy. Follow our tips on troubleshooting audio issues No Sound on Your Computer? Try This When Your Speakers Don't Work No Sound on Your Computer? Try This When Your Speakers Don't Work Sound issues on a Windows PC are the most annoying. Here's how to fix the sound on your computer when your speakers stop working. Read More for more help on fixing this. Explore more about: Troubleshooting, Windows Tips.